Dan and Alex Cordell, the husband-and-wife duo behind Solid Manufacturing Co., have had a busy year. The pair just welcomed a new baby as well as a new storefront, the menswear- and maker-oriented Ace General Store, in Excelsior. 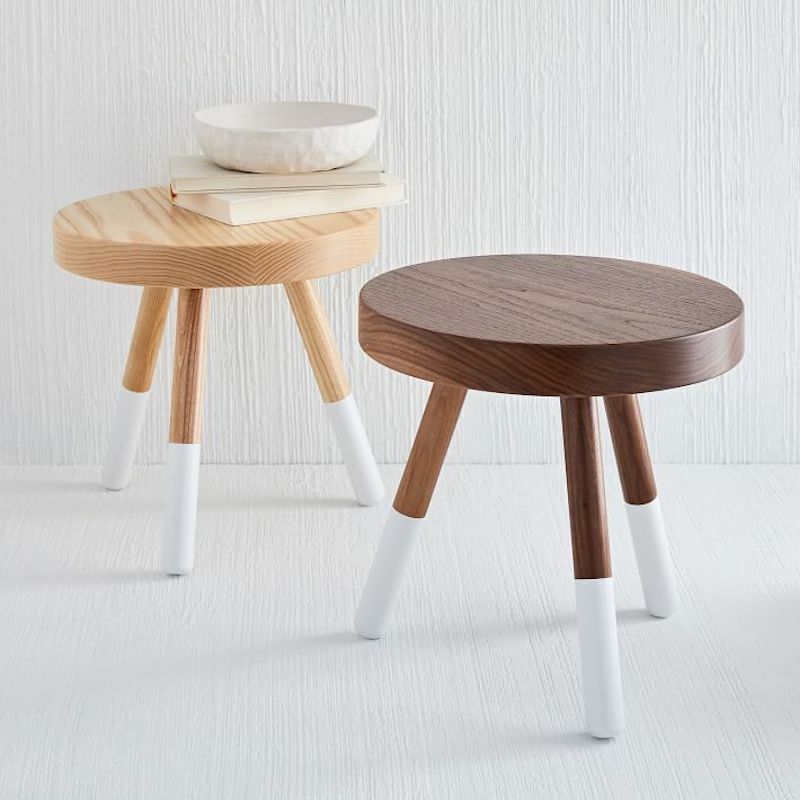 And that wasn’t all that has been keeping them occupied: The Minneapolis brand, best-known for their minimalist wood side tables with colorful paint-dipped legs, has debuted a limited-edition capsule collection for national home goods store West Elm. 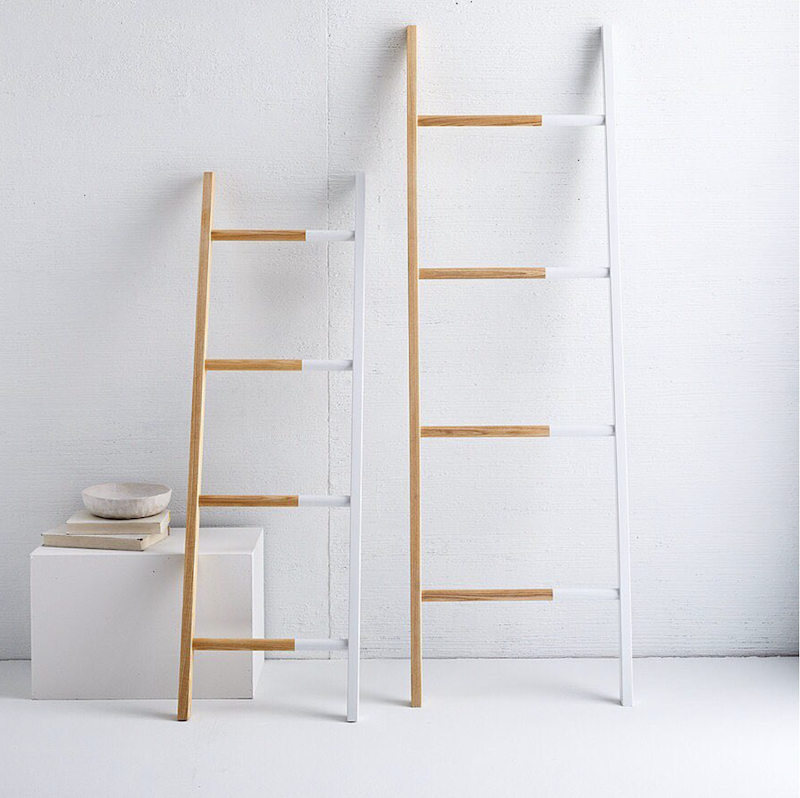 Solid MFG joins fellow Minneapolis maker brands, including Ashley Mary Art + Illustration, Siri Knutson Design, A Mano ceramics, and modern quilt brand Louis Gray, as part of West Elm’s local maker program, West Elm Local. The collection features three of Solid Mfg. Co.’s signature paint-dipped furniture pieces: the Campfire Stool, Coffee Table, and Found Ladder, each available in a variety of wood types and paint colors. 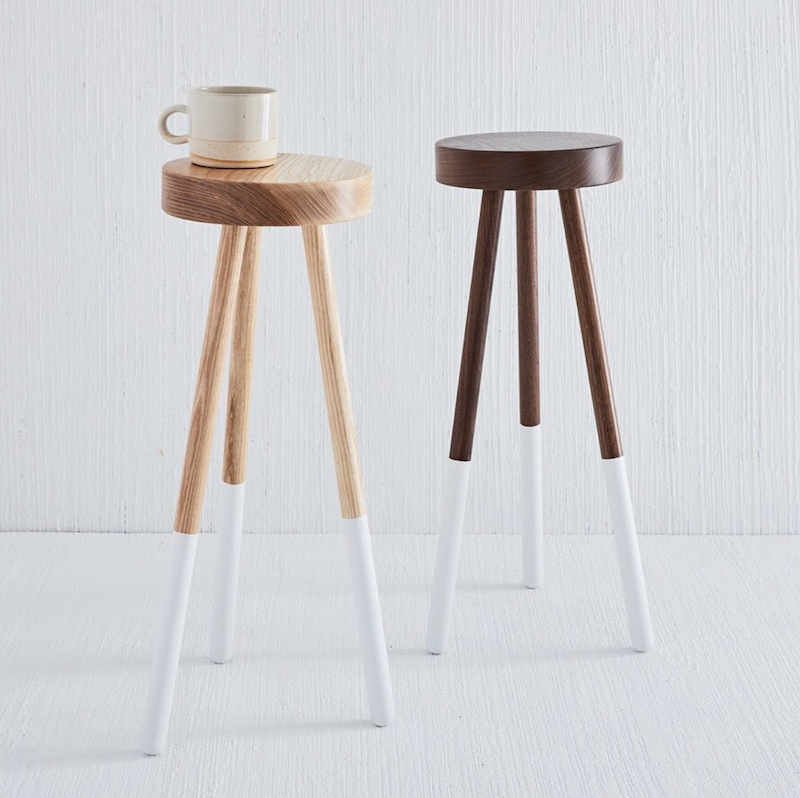 Prices range from $80 for a ladder to $220 for a stool. Shop the collection online at westelm.com and in store at the West Elm Edina location later this month. I chatted with Solid MFG’s Alex Cordell about the collaboration, and what’s next for their brand and store. We’ve worked with West Elm in the past, participating in a few pop-ups at the Edina location. We met with Jerrod Sumner at the Edina location for their WE Local event late last summer. After taking a look at our collection and our newest products, we were chosen to not only be a part of the WE Local selection at the Edina West Elm but also join other local Minnesota makers in their online collection which launched in the Spring 2018 catalog on December 19. How did you decide which products to create for the collection? We worked with the West Elm team in New York to narrow down the selection to accurately represent Solid Manufacturing Co. while being suitable for the West Elm customer. Was the process of designing/manufacturing any different from your usual process? Manufacturing has had to speed up significantly. All of our furniture is handmade, so we’re having to work in larger batches while maintaining the quality control our customers have grown accustomed to. It’s been tricky, but incredibly exciting to work at this scale. Do you have any sense of the response so far? Yes! Since our launch on December 19th, West Elm customers have overwhelmed us in the best possible way. To say we’re busy would be an understatement. Any Ace General Store news you can share going into 2018? We’ll be working to expand our furniture collection in 2018, bring Ace General Store online and add to our team. We’re currently hiring woodworkers to join us this year.